One of my favourite band’s appeared at one of my favourtie venue’s. 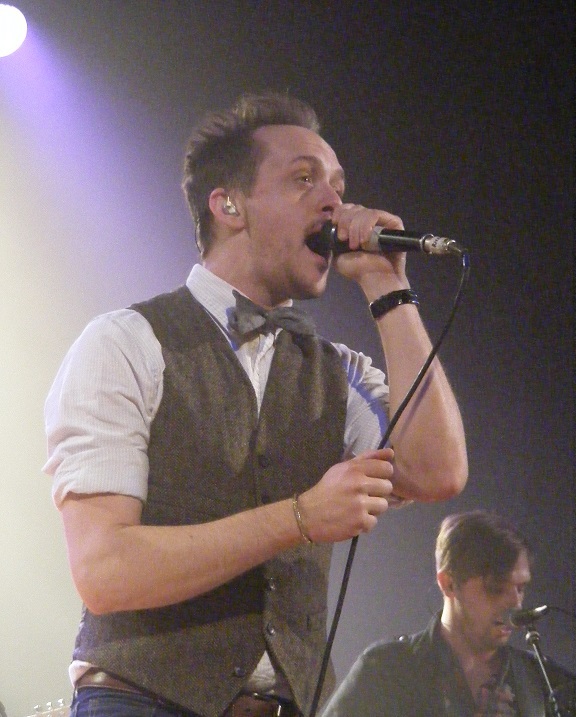 I’d never had the opportunity to see Paper Route perform live. When I heard that they would be in Toronto April 18th, opening for Anberlin, I finally had my chance. The Opera House doesn’t stage operas, but they do present a large number bands from various genres, but the primarily seem to welcome alt rock bands. This beautiful old building, built in 1909 as a vaudeville venue, may be shown showing it’s age, but it’s 35-foot gilded proscenium arch over the stage remains intact and lends an air of glamour to a tired neighbourhood. I passed on the balcony, wanting to be front and center for the show. An amicable crowd (as always at this venue) was more than obliging, letting me squeeze to the front for a few photos. The three piece Paper Route is made up of J.T. Daly on vocals, keyboards, percussion, Chad Howat handles bass, piano, programming, and Gavin McDonald show his prowess on his drum kit. 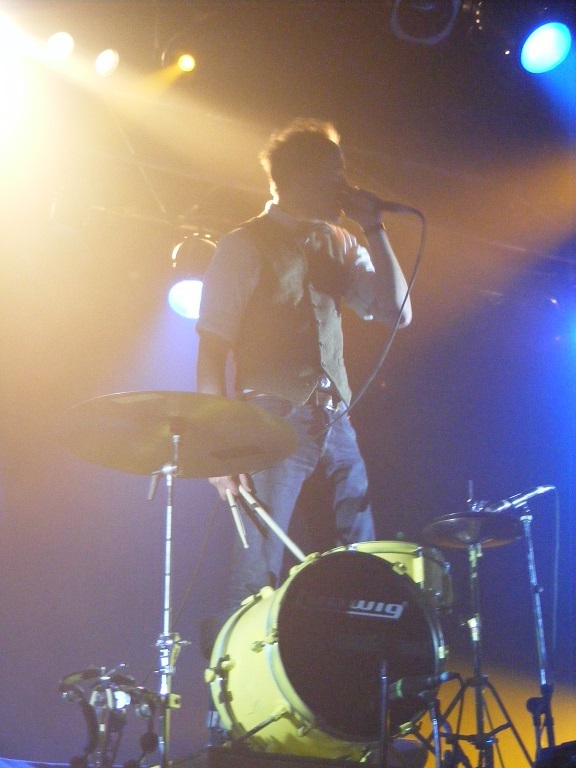 Overall the band is reminiscent of Mutemath, offering the amazing percussion abilities of McDonald with both dynamic and subtle vocals from Daly. The outstanding moment of the night came when Daly climbed up to an elevated drum kit high on the stage to bolster the drumming of McDonald.